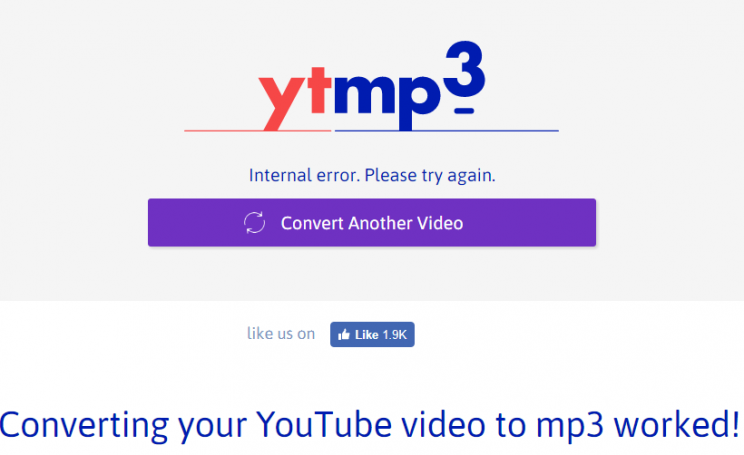 YTMP3.com is yet another website one can use to convert youtube to mp3. I was actually planning to do review of another site that has similar name, but ended up doing this one, only after preparations and screenshots have I realized it was yttomp3.org that i was going to review in this article.. Well, it’ll get its turn later, of course..
From the first glance it’s not too shabby, nice current nowadays design with bootstrap used for universal styling and css. 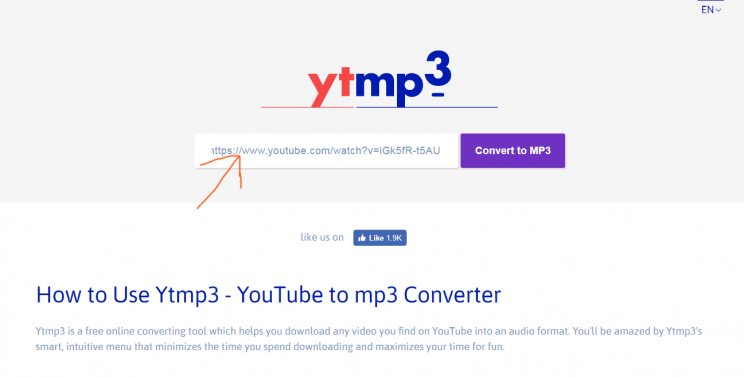 Obviously, this site will work good on your mobile phone, so you can convert youtube to mp3 with ytmp3.com on android or IOS alike. Platform independent. As you can see from the chart above, alexa thinks this site is one of the many that have received a tremendous traffic boost since youtube-mp3.org has been shut down by the IRAA just a few weeks ago in the beginning of September 2017. And thus you can see that this site has received their part of the free-agent traffic. Many sites benefited, but for example Off Liberty couldn’t find a better (or rather worse) time to stop working with youtube – they are losing out on millions of new users.. Well, we are here not to skulk, but rather discuss this site and it’s conveniences. And so we’re doing tutorial below, first this time before review..
You can see I’ve indicated the white-on-almost-white box where URL goes. Paste it there and press the Convert To Mp3 button to the right. Step 2. Now we wait for the site to convert youtube to mp3.. So after I tried to convert the video again, now i saw this message below indicating that there was some internal error and inviting me to convert another video to mp3. So yeah… Total Fail here.. Not because of DMCA or other blocks, no.. Just some kind of internal error..
just wanted to mention, the download went mega fast. which is a very good thing. and it returned one star back to the rating, giving it a total of 3 stars. This time i am combining review and conclusion.. The site is pretty fast, slick and nice. But has weird quirks with freezing-like reactions to conversion.. And errors.. But no annoying advertising (just yet?).. We recommend you use something else, like youtube-Mp3-org is good for youtube mp3 conversion. Even that savefrom mp3 is not real, ofliberty could help probably, when it gets fixed..